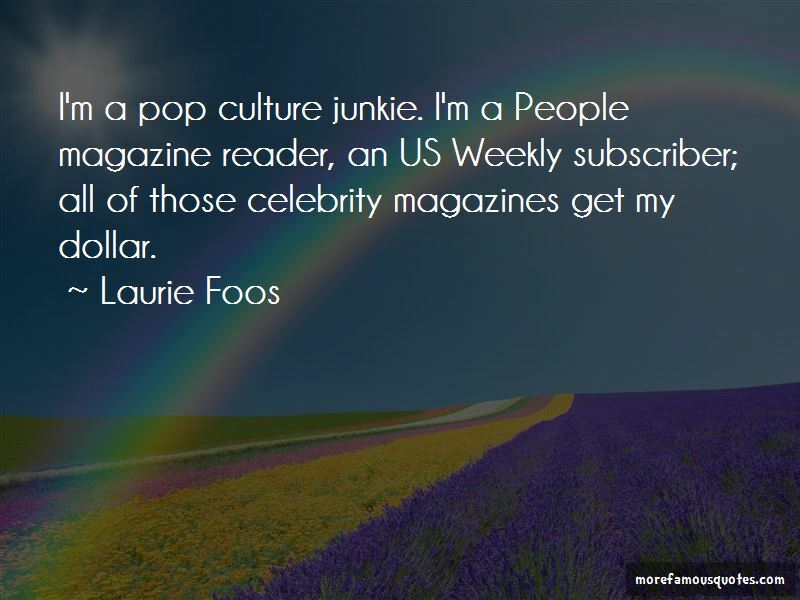 Enjoy the top 25 famous quotes, sayings and quotations by Laurie Foos. As soon as you start to question your own intent while you're still in the process of discovering your story, you're in trouble because you've pulled out of that unconscious space that is so necessary in the beginning of the drafting process. I could have a lot of fun with Michael Jackson, I'm sure. What I find interesting and heartening, though, is that there does seem to be a shift in the subject matter being written about by women that is doing well in the culture. We're seeing more women writing dystopian fiction, more women writing novels set post-apocalyptic settings, subjects and themes that used to be dominated by men. 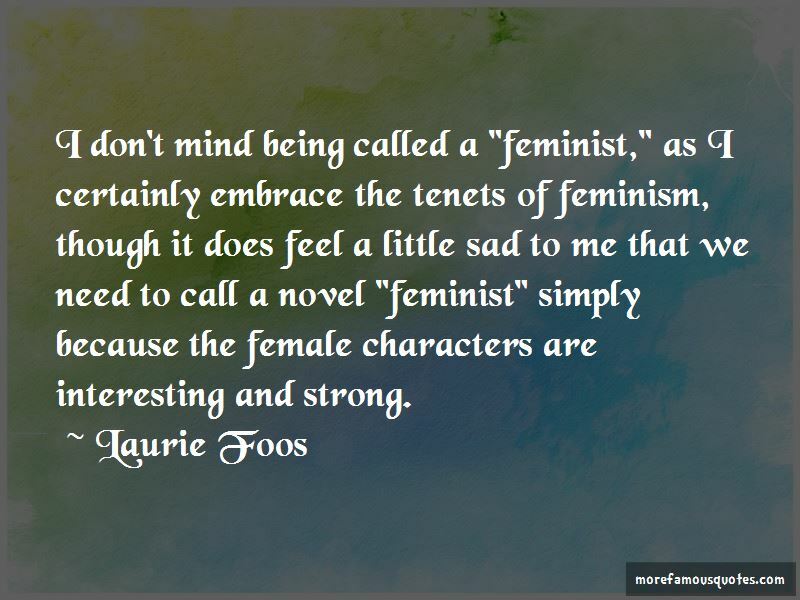 I don't mind being called a "feminist," as I certainly embrace the tenets of feminism, though it does feel a little sad to me that we need to call a novel "feminist" simply because the female characters are interesting and strong. You're thinking about the continuum of life as you load the washing machine or scoop out the litter box.blue-girl-larger Or maybe that's just me. That seems to be an endlessly challenging and interesting way to live. 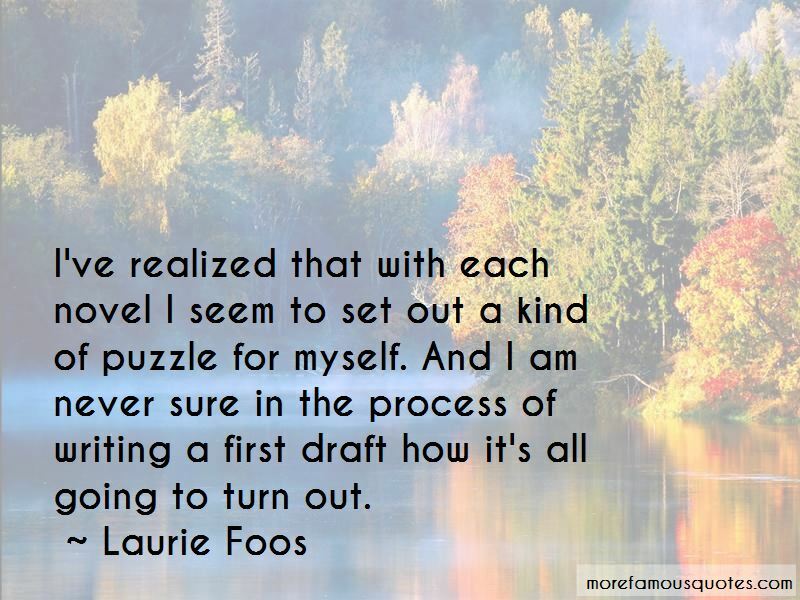 Want to see more pictures of Laurie Foos quotes? 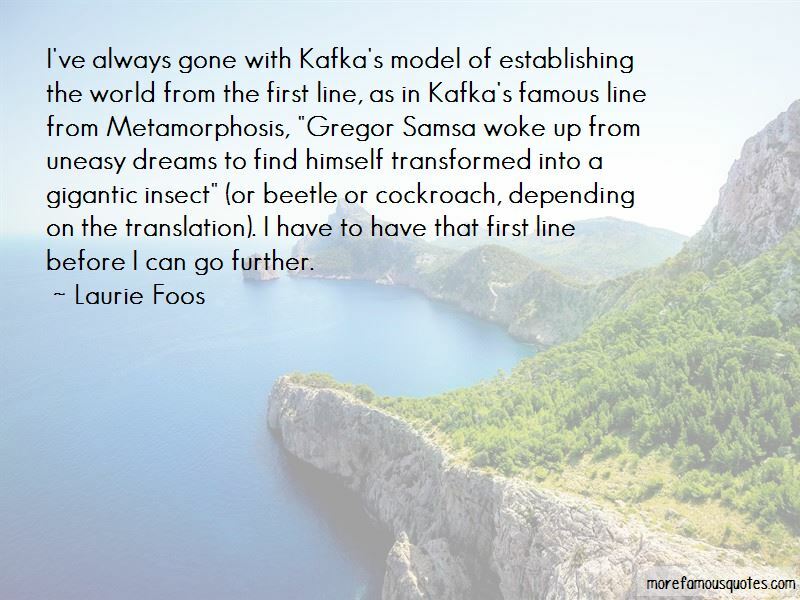 Click on image of Laurie Foos quotes to view full size.